Valentine’s Day is coming Sunday, February 14th of 2016 and it’s the perfect time to show the people around you that you care. Making crafts and decorations for the big day is a beloved past-time of expressing yourself and your feelings. It’s also a great holiday to brush off some of the winter gloom and reconnect with the people that matter most in your life. 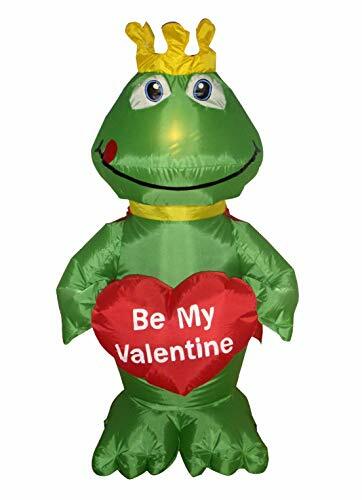 Why not go big this year, and say how you feel with a Valentine’s Day yard inflatable? There’s many adorable options to choose from, and we picked out the best of the best to share with you below! 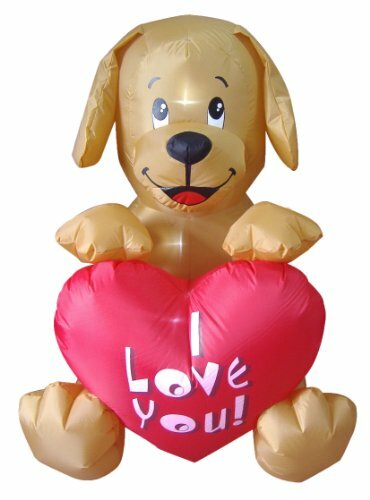 This adorable pooch is the hottest Valentine’s day yard inflatable! Great for use to display on your lawn to brighten up the neighborhood’s mood on those cold winter days. 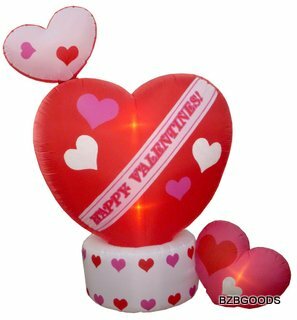 This inflatable also makes a wonderful indoor decoration for your Valentine’s Day parties. It self-inflates once plugged in, and lights up for better visibility in the dark. The ground stakes and tethers are also included. If you really want to impress this Valentine’s Day, look no further! This giant inflatable display is the sure thing to do it. 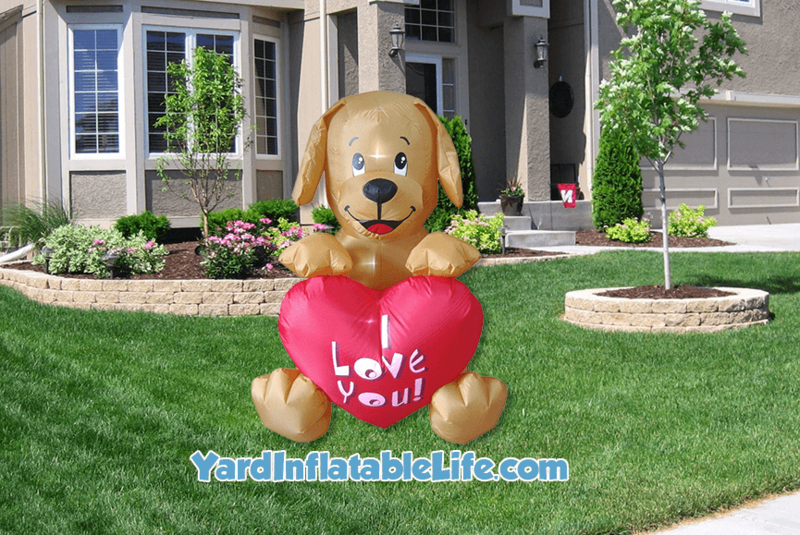 At 87 inches long, 40 wide, and 96 inches tall, this is a yard inflatable that won’t be missed! It has internal lights to illuminate the display in the dark, and plugs in to quickly inflate. Also included are ground stakes and tethers to keep the inflatable secured. 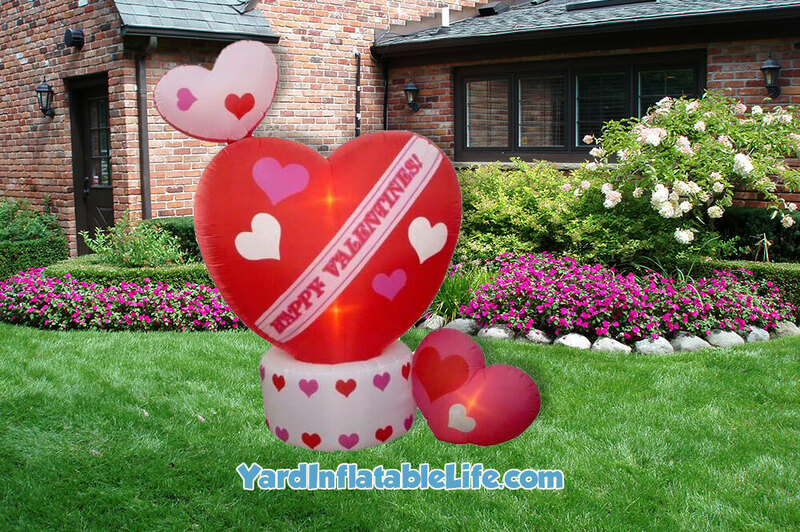 The added bonus to this Valentine’s Day yard inflatable that makes it unique, is the top pink heart spins to draw more attention! An animated yard inflatable always goes over well. Looking for your Prince Charming this Valentine’s Day? Maybe start by kissing this frog! 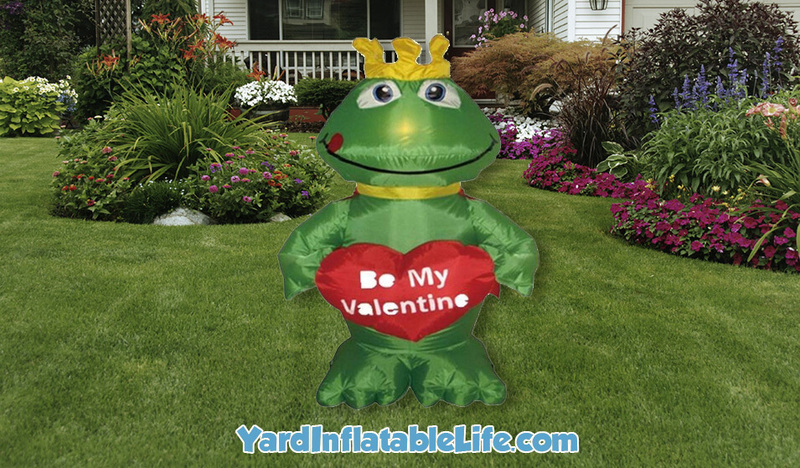 The Frog Prince yard inflatable is a wonderfully cheeky decoration for your home that friends and family will love getting a photo with! This inflatable stands 4 feet tall, and is 2 feet wide by 2 feet long. As with the rest, you can plug in the inflatable and it will self-inflate. It also lights up to show off in the dark. Ground stakes and tethers are included, and setup is simple.